35 praised films that completely disappointed me+ 10 derided films that I Enjoy! Taken (2008/I)- Overrated. 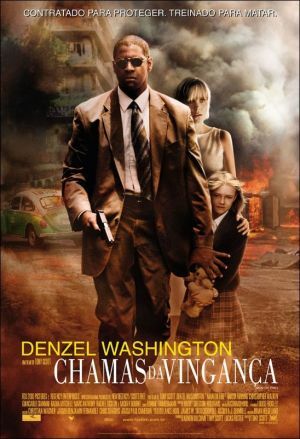 See instead MAN ON FIRE (known as FLAMES OF VENGEANCE in the Portuguese poster shown) or DIE HARD LIVE FREE or 16 BLOCKS. There Will Be Blood (2007)- despised it. See instead GIANT or NO COUNTRY FOR OLD MEN. HURT LOCKER- overrated and ultimately empty. See instead GREEN ZONE. Rogue- Insipid, boring and idiotic crocodile film. THE MIST- just overblown acting, and an ending that was drained of any impact. stick to the audio book, it’s far, FAR better. See instead IT. DAY NIGHT DAY NIGHT- This is a very compelling film through most of its run time, but just completely collapses at the end. “Let me show you my abs”? Really??? WTF? That’s your ending?! Made me mad and ruined an otherwise strong film. KING OF THE HILL (Spanish)- Beautiful looking film, not bad, just not satisfying, and questionable plot contrivances, but not a bad film. But put here because not as great as it has been touted. SIN CITY- misogynistic, reductive tripe. Absolute garbage. NATURAL BORN KILLERS- One of my most disliked films. Right up there with SIN CITY. MR. BROOKS- Way underwhelming, bordering on mediocre “serial killer with a twist” flick. 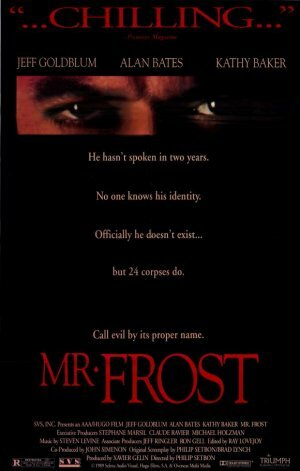 See instead the fantastic, but vitually unknown Jeff Goldblum flick, MISTER FROST. DISTURBIA- A poor man’s REAR WINDOW, not horrible, just not good. 10 derided films that I enjoy! 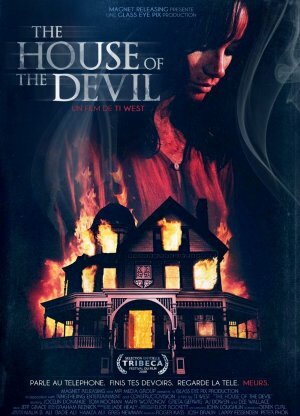 THE HOUSE OF THE DEVIL- absolutely adore this movie. One of my favorites. WAR OF THE WORLDS (Remake)- Yeah it’s a fad to bash Tom Cruise. 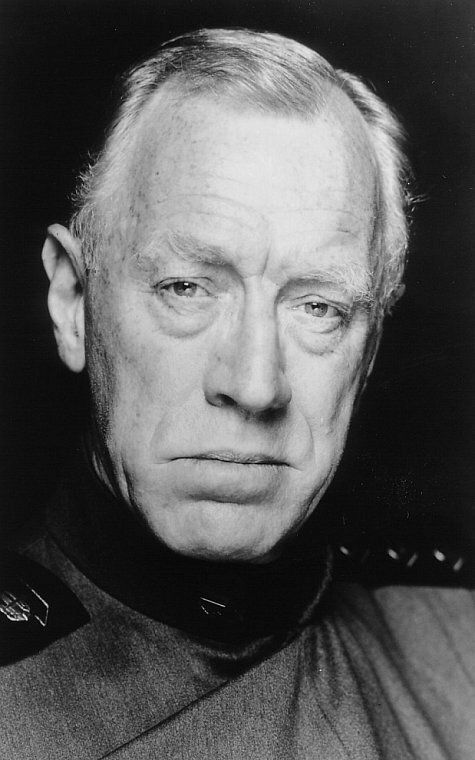 But fads aside he’s a fantastic actor, and this is a strong flick. HANCOCK- Horrible name for a movie, horrible posters, box art, horrible marketing. But under all this damaging comedy labeling, is actually quite a compelling and strong film, with a great third act. 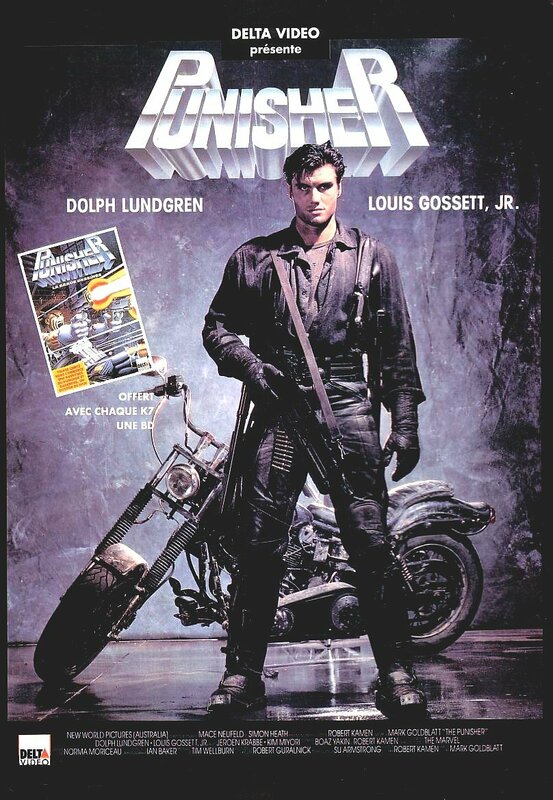 Rename this THE INSURANCE POLICY (OF THE GODS), use some serious marketing and posters, and you could re-release this to DVD and continue to clean up on this film (it made in theaters over 300 million domestically). 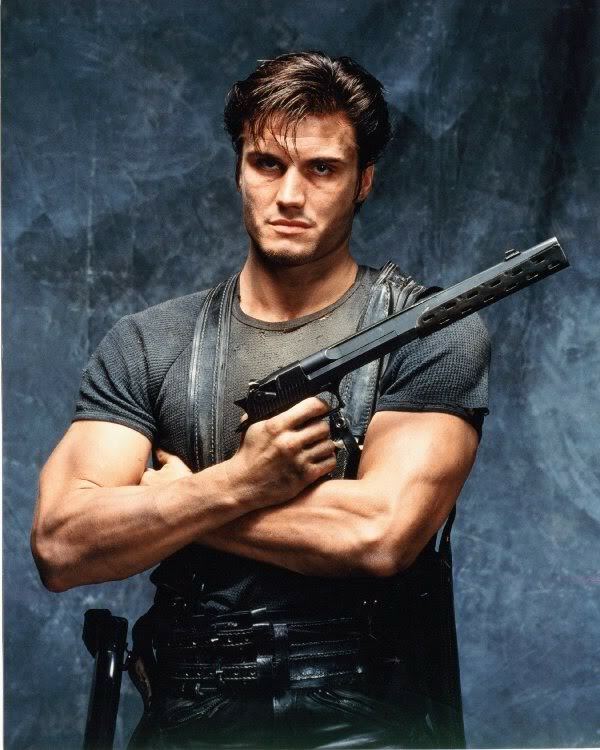 PUNISHER- Dolph Lundgren version, and I really like it. 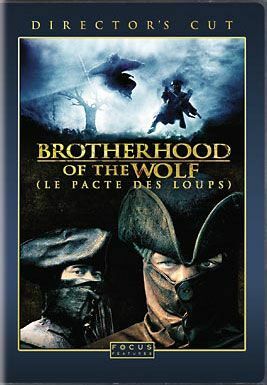 Ninjas, brooding anti-heroes, nice action scenes and Louis Gossett Jr, what’s not to like. Big fan. JUDGE DREDD- everyone agrees the comedy relief, courtesy of so-called comedian Rob Schneider was a horrendously bad idea, but there are some fantastic iconic scenes in this film, the best is Max Von Sydow’s walk into the Cursed Earth. Movie is worth it for that scene alone. TRANSFORMERS 2- Not great, but definitely good and visually stunning. In no particular order. Feel free to leave your own recommendations, suggestions. Quien Puede Matar A Un Nino/Who Can Kill A Child? Diabolique (France)- if you can see this film without being spoiled, or knowing anything about it, it’s an incredibly powerful film, and earns its place on any list. M (1931-German)- Everything you know about horror film, from the brilliant to the bloody, about tension, about atmosphere, about darkness that walks at day, is sourced from this film. 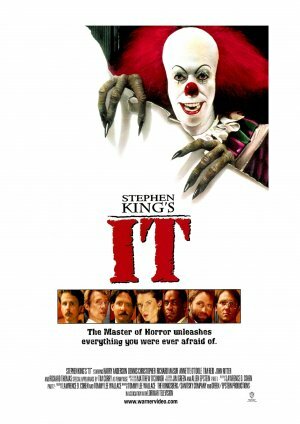 Even if a horror/suspense filmmaker hasn’t seen this film, they’ve been influenced by a film or filmmaker, that was influenced by this film. I’m always amazed how people get to this site. It is so cool, some of the people who have links to my site. Mr. Walter Koenig being the latest one. Thanks all, for the links. They are deeply appreciated. 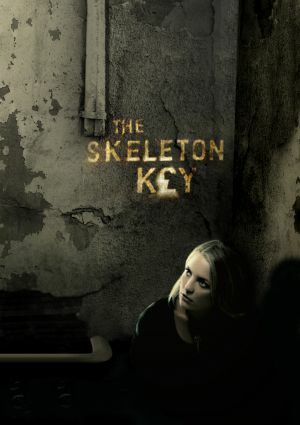 I just saw REC the Spanish Horror thriller, I’m pimping a review to a paying site, so I won’t say much here except to say, I hated CLOVERFIELD and BLAIR WITCH PROJECT, all these found footage films; and REC avoids the weaknesses and pitfalls of all previous attempts at such a conceit, and manages to imbue it with real strength. The film is fantastic. And damn Hollywood for remaking it rather than just giving it a US release. People aren’t morons, at least most people; this subtitled movie would have done great in the theaters. But the suits in Hollywood are all greed and no taste. So we get watered down Americanized versions of great foreign movies. Typically inferior garbage, that only weakens the strength of the original film. I have not seen QUARANTINE. After being stupid enough to see the garbage that was THE STRANGERS rather than the French original, I’ve learned my lesson. I avoid Hollywood remakes, at least until I see the original first. So REC was worth the wait. Fantastic film. 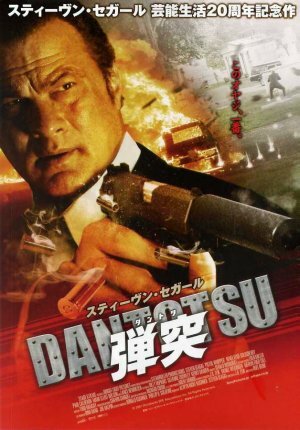 Unfortunately for those wanting to see popular foreign films, Hollywood doesn’t make it easy, because they want you to see their crappy US remake, and buy that version on DVD. So as of this writing, there are no region 1 DVDs available of great foreign films like REC. Thankfully as long as you have a region free DVD player, which you really should have, and access to a foreign DVD seller, you’re good. Because the rest of the world isn’t as crippled and locked down as the studios have the American market. In the rest of the world, they release foreign films theatrically, and release foreign DVDs. Imagine that. And that’s exactly what I did. I bought a region 3 DVD of REC, and it rocks. But realistically you shouldn’t be at the mercy of the studios regarding seeing foreign films and tv shows. They take a popular foreign series, delay the release of any region 1 DVDs so instead they can feed you their crappy US remake, and their crappy DVD. THEN they release the original series on region 1 DVD! So it’s double dipping! They generate ad revenue on the broadcast of their remake. then they generate revenue on their remake’s DVDs. then they generate revenue on DVD sales of the original!!! It’s a ripoff! So I say screw em. Get yourself a multi-region Dvd, and then you’re not at the mercy of region 1 release schedules. And the funny thing about that is, even when they release foreign tv shows on region 1 dvd, often the DVD is edited and cut differently then the original series. An example of this being JEKYLL BBC series. The show as broadcast in the states was cut, and the region 1 DVD is also cut. So if you want to see this series as it was released you have to purchase the Pal DVD. And if you think the current DVD scenario is problematic, Bluray/HDDVD will further cripple your options, and put you further at the mercy of the studios. Which is why I’m in no rush to migrate away from the DVD. Hell there are enough DVD movies and tv shows I haven’t seen, that if they stopped making DVDs tomorrow, I would have enough used inventory floating around out there, to last me the rest of my life. So screw you Hollywood studios! Screw you FOX! So do your homework people, and don’t be deprived of seeing the films every other country gets to see. Take John Woo’s latest film RED CLIFF. There’s no reason that film shouldn’t have gotten a US Theatrical release. But the greedy studios again, they want to be able to double, triple, and quadruple dip. So you’re going to have to wait to see the crappy Americanized remake or edited version of RED CLIFF, a year after the original has made the rounds. Then they are going to sell you the crappy American DVDs of RED CLIFF. And only after they’ve raked in all this money on feeding you two years of crap, are they finally going to release the original “director’s cut” Region1 DVD of John Woo’s RED CLIFF. So you can wait two years for the Studios to feed you piecemeal John Woo’s vision. Or you know what, you can decide you want to have the same rights to see this film as someone in Thailand or London, and buy the DVD today. It makes me insane, how for such a supposedly free country, we are increasingly at the mercy of greedy fuckers. I have no problem with profit. I have a problem when profit becomes a juggernaut of greed. A beast that eats away at the consumer, rather than just filling the needs of the consumer. And it’s even worse if the country producing the film, is not a western puppet. One of the best films I saw last year was the Cuban bio-pic EL BENNY. I raved about it in my review last year. This is a film that should be seen by everyone. Especially Americans. Because it shows the world as something beyond the sound-bites of our nightly propaganda. Unfortunately that’s the very reason many foreign films don’t get US releases, and don’t get DVD distribution. Which means some of the vital filmmakers of our age, Diop Mambety, Sembene Oursmane, their best films do not make it onto our shores. Are seen once, in a film festival, and then relegated to molding away in someone’s closet. The move to all digital cinemas, will further marginalize such filmmakers. It’s all part and parcel of the same beast. It’s really, to a fine level, policing the content of what each region is exposed to. This even goes to the concept of having alternate endings and versions of films, a fad that i wholeheartedly despise. It pisses in the face of cinema. Why is CITIZEN KANE a classic? Or why is the THIRD MAN a classic? Or High Noon or JAWS or BRAVEHEART or DO THE RIGHT THING or BLOOD SIMPLE? Because these films offer a singular vision. A shared and shareable vision. An iconic and unwavering vision. The fantastic ending of DOUBLE INDEMNITY comes to mind (and yes I know DI had an epilogue that was excised from the final version of this film. But the point is we did have a final version, and it is that one, singular version we saw, and those hard decisions that define a classic film). And because of this, if you are 9 or if you are 90, and you have seen a great movie, you’ve largely seen the same movie. And you can share the memories, the conversation or the wow factor of that movie. It makes you part of a singular conversation. You gasp at the same moments at the end, you wow to the same scenes. It is a cultural connectivity that is very important, and unites the viewers, even if you didn’t see that film in the same theater, or in the same time, or in the same country, it is still the same film, its beats are the same, and you have that in common. That frame of reference. In a world increasingly spinning itself apart, this shared cinematic conversation is a tiny way to keep ourselves together. Cinema then, as that shared endless place in time where all our rosebuds are lost, and all our rosebuds are found. As opposed to today with the move toward multiple endings. Which in the short term may seem an easy way for studios to triple dip as far as revenues, but in the long term it robs that film of its singular vision, its cultural connectivity. In the long term… it hurts film. Because suddenly two people can have seen the same movie, but each remembers different endings. And the film rather than being a unique statement, that is memorable for the very fact it has the balls to lock itself in stone, and lock you, the viewers together, instead suddenly is something ephemeral, and transitory, and… forgettable. The very act of having multiple endings, negates the ability of a film to be a classic. Period. It negates the very ability of it to be a film, as far as I’m concerned. It’s the act of a lazy filmmaker. Multiple endings are great for “choose your own adventure” books and video games, but cinema has always been the domain of men and women, directors, who have something lasting to say to the world. Multiple endings negates the lasting voice of cinema. DO you sense I really fing hate Hollywood suits? And the only reason is because I love Hollywood. I grew up on cinema. I love Cinema enough to defend it perpetually and criticize, perpetually, the small minded, fing trolls, who temporarily, find themselves in positions they are not worthy of, interfering with the course of a medium, that was here long before them, and will be here long after they and their works have turned to dust. Screw Hollywood. Get an ALL-REGION Dvd player. Screw Bluray. Support International sellers, and international filmmakers and generally screw Hollywood. Oh and pick up REC, great movie.